Concerns are being raised about the capacity of the NIS Conference Room to accommodate members of the public interested in witnessing the proceedings in the election petitions, in which the court began hearing oral testimony today. 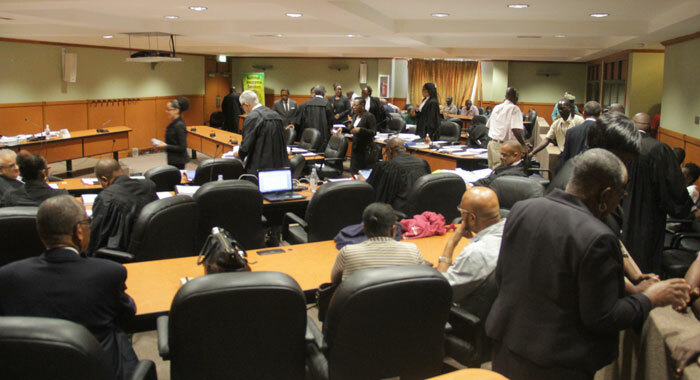 Lead counsel for the petitioners, Queen’s Counsel Stanley John raised the issue on Monday, during the testimony of the petitioner’s first witness, Maia Eustace. John told the court that when the status hearing took place last month, the petitioners had raised concerns about the venue. He said that they had taken it that the concerns, which the court itself had raised, would have been addressed. John said he is also instructed that the lifts in the four-story building — located at the extreme eastern end of Kingstown — are still out of order. The judge, Justice Stanley John, said he had been so advised and that steps were taken to ensure that persons who were unable to access the staircase could use the lift at the back of the building — presumably a service elevator. The judge asked if there were persons wanting to but unable to access the proceedings. He noted that the proceedings are of interest to the public and that the public must be able to access them. However, the lawyer responded, telling the court that he thinks that the court officers would be able to answer that question. “I am just raising it as a matter of concern because it may well be,” he said. The judge said that he would have no objections to persons standing, subject to the instructions of those responsible for security. John said there might well be persons who don’t mind standing for a while. John asked the court to address the matter, and the judge said he would so during the midmorning break, at 10:30. However, the lawyer said the matter is one of utmost concern and that the petitioners would rather if it is addressed immediately. Senior Counsels Douglas Mendes, lead counsel for the respondents, then told the court that there were some vacant chairs in the areas reserved for the lawyers. Mendes suggested that they can be relocated to another section of the room to accommodate members of the public. The court rose for a few minutes so that this could be addressed. When the hearing resumed, counsel John said that his instructions are that a significant number of members of the public were turned back from the proceedings. He said that the judge had told counsel in chambers that some members of the public were not allowing security searches. The Queen’s Counsel said the petitioners agree that the security personnel must conduct searches and appreciate that. 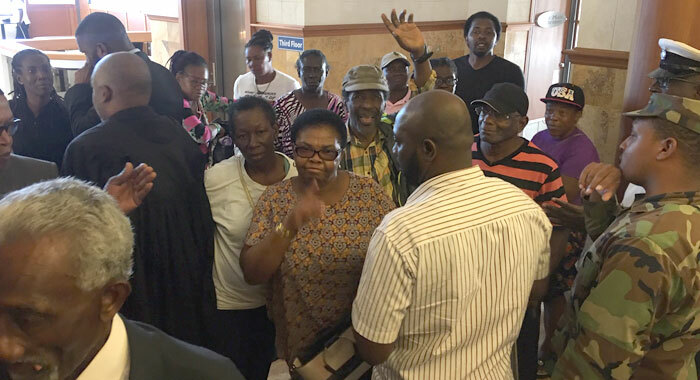 He, however, said that at the same time, the petitioners are equally concerned about the fact that a significant number of persons who were interested in coming in were turned away. Justice said it is unfortunate that persons were sent back but it is his hope that it was only because of their alleged refusal to submit to security searches. The searches are for the good of everyone, the judge said, adding that earlier on, he had heard a sound in the courtroom, and didn’t know what it was. It is not clear why the hearing was moved from the larger and more centrally located High Court building in Kingstown to the NIS conference room. The opposition New Democratic Party’s Benjamin “Ben” Exeter and Lauron “Sharer” Baptiste are challenging the announced victories of Sir Louis Straker and Montgomery Daniel in Central Leeward and North Windward in the Dec. 9, 2015 general elections. Electoral officials say the Unity Labour Party won those seats and six others to secure a fourth consecutive term in office. 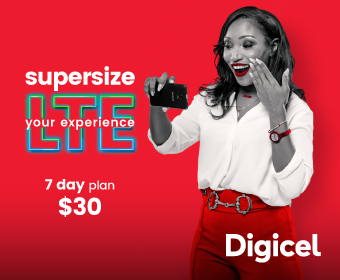 They say that the ULP won eight of the seats in the 15-member Parliament, while the remaining seven went to the NDP. The government has maintained that it did nothing illegal at the polls and says that the elections were conducted in keeping with the law. The NDP will look for any reason/excuse to distract from the fact that their case has no merit. If this picture represents the “crowd” there was more than enough standing space. NDP, you’re even failing to keep your supporters alive.